By Ed Currie. Ed is a UK-trained medical doctor with over 25 years industry experience in pharmaceuticals, diagnostics, medical devices, precision medicine and digital health. Dr. Ed Currie explains why although there will always be a place for hospitals, they will be much smaller and unrecognizable from how they are today. And why that is great news. Who would choose to spend time in a hospital unless absolutely necessary? They are dangerous and hugely expensive places to be (see infographic at the bottom of the article). The US leads the pack at an average of over $4,000 per bed per day  the price of a luxury suite in a five-star hotel. Prices elsewhere are lower, but still painful. Surprisingly, these costs are often not visible to patients or healthcare professionals. However, there is now a move towards increasing the transparency of hospital pricing, driven by growing awareness of the unsustainability of healthcare costs. Payers are beginning to limit reimbursement for hospital stays, and in several countries will not now pay for readmissions within 30 days of hospital discharge for the same condition, or complications arising from it. It is perhaps no surprise that Castlight, a health IT company that provides visibility of healthcare cost to enterprises, attracted such interest for its IPO. In his book The Patient Will See You Now, Eric Topol describes a hospital that seems to be pointing the way forward: The new Montefiore Medical Center in New York City has 280,000 square feet, over 11 stories, 12 operating rooms, four procedure rooms, an advanced imaging center, laboratory, and pharmacy services  but no beds! What is driving this reduction in hospital beds? First, a steady improvement in the efficiency of medical procedures over the last decades means that many that used to require a hospital stay  such as coronary angiography, organ biopsies, surgeries  can now be done on an outpatient basis. Even those that require hospitalization now require much shorter stays. Second, healthcare is seeing a shift from illness to wellness. Preventing a disease is always preferable to treating it. Whether its avoiding smoking, managing stress through meditation, eating more healthily, or exercising, more people are taking responsibility for their own health. Although many members of society resist health advice, insurance companies are beginning to provide data-driven incentives to those who take steps (in some cases literally) to live more healthily. In September 2015, Google Capital invested in Oscar, an innovative US health insurer that provides Misfit step trackers to its enrollees, and rewards those who use them. Third, if youre unlucky enough to develop a disease, then earlier detection and intervention will increase your chances of a good outcome, and reduce your need for hospital visits. For example, diabetic patients who are diligent at measuring and controlling their blood sugar have fewer complications. Cancer is another area that is seeing big advances in early diagnosis and effective treatment. Increased awareness through public health campaigns, improvements in diagnostic technologies like imaging, and the development of new tests, such as breathalyzers for stomach and lung cancer, will allow doctors to pick up the disease while it is more treatable. In future, we are also going to see an increase in the use of molecular diagnostic tests in treating and diagnosing cancer. For example, in the UK the NHS 100,000 Genomes Project is sequencing genomes from 25,000 cancer patients, which will lead to personalized (precision) medicine and diagnostics. The interoperability of data from all sources with medical records will be critical in allowing deep analytics on which to base treatments, as will robust data privacy and security to ensure trust. Fourth, the delivery of medical care at home, either instead of a hospital stay or after a short one, means that the hospital room of the future will be the bedroom, according to Eric Topol. Primary care physicians, specialists and hospitals are now offering medical consultations via video or Skype. Nurses, who are alerted and authenticated by algorithms monitoring the patients vital signs, may supplement these with home visits. Remote monitoring of health parameters has for some years been a reality for diabetics (blood glucose), and is beginning to extend to multiple parameters, both active (blood pressure, pulse rate, weight, electrocardiogram) and passive (motion sensors in rooms and under mattresses, gait-measuring sensors in the floor, activation sensors on the fridge and in smart pill boxes, as well as health-relevant temperature and air quality sensors, like Google Nest). Data collection, with patients consent, need not stop at the home, but can extend into their car, workplace, or doctors office, and can be integrated with their electronic health record to allow analysis. Finally, many elderly people stay in hospital for longer than they need, or have to go into a care home, because they have no one to look after them at home. In the UK, delayed discharges account for over 1 million hospital bed days blocked per year. One approach, still in its infancy but being trialed, is robot caregivers. 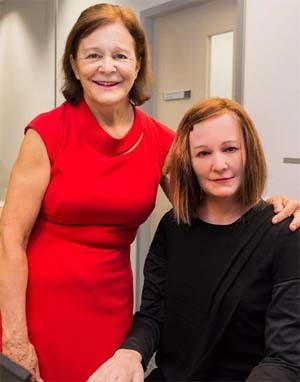 While robots cannot yet replace humans, especially from the emotional perspective, they are expected increasingly to supplement human caregivers, and are becoming ever more lifelike: Nadine, a robot assistant developed in Singapore, gives a glimpse of the future. Robots, combined with remote monitoring and telemedicine, might be enough to tip the balance towards a patient being able to cope at home. There will always be a role for hospitals  for example, for complex surgery or acute care after accidents  but their role will change significantly. A combination of preventive wellness, early disease detection, minimally invasive medical procedures, precision medicine, and remote, monitored homecare (eventually supplemented by friendly robots), will steadily reduce the need for hospitals. In the future, the smartest cities will be the ones with the fewest hospital beds. Daily Mail: Valery Spiridonov will undergo the first ever human head transplant. 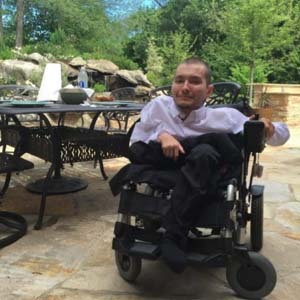 The 31-year-old is wheelchair reliant due to a muscle-wasting disease. The operation will allow him to walk for the first time in his adult life. His pioneering procedure is expected to take place in December 2017. Researchers from MIT and Ford Motor have developed a new computational system that uses cellphone location data to infer urban mobility patterns. Big-data analysis could give city planners timelier, more accurate alternatives to commuter surveys. The EnergieTracker is a tool for the automatic capture, storage and transmission of meter readings by smartphone. EnergieTracker's recognition technology for meter readings is the result of very intensive development work involving all common models of electricity and gas meters. This video continues our look at Colonizing Space by examining the idea of Asteroid Mining and setting up colonies on Asteroids. We explore the science as well as practical issues of engineering, economics, legality, and psychology of such distant outposts. What are the jobs of the future? How many will there be? And who will have them? We might imagine - and hope - that todays industrial revolution will unfold like the last: even as some jobs are eliminated, more will be created to deal with the new innovations of a new era. In Rise of the Robots, Silicon Valley entrepreneur Martin Ford argues that this is absolutely not the case. As technology continues to accelerate and machines begin taking care of themselves, fewer people will be necessary. Artificial intelligence is already well on its way to making good jobs obsolete: many paralegals, journalists, office workers, and even computer programmers are poised to be replaced by robots and smart software. As progress continues, blue and white collar jobs alike will evaporate, squeezing working- and middle-class families ever further. At the same time, households are under assault from exploding costs, especially from the two major industries - education and health care - that, so far, have not been transformed by information technology. The result could well be massive unemployment and inequality as well as the implosion of the consumer economy itself. His books are international best sellers. "Who Owns the Future?" was named the most important book of 2013 by Joe Nocera in The New York Times, and was also included in many other "best of" lists. "You Are Not a Gadget," released in 2010, was named one of the 10 best books of the year by Michiko Kakutani, and was also named on many "best of year" lists. His writing has appeared in The New York Times, Discover (where he has been a columnist), The Wall Street Journal, Forbes, Harpers Magazine, Nature, The Sciences, Wired Magazine (where he was a founding contributing editor), and Scientific American. He has edited special "future" issues of SPIN and Civilization magazines. Lanier's name is often associated with Virtual Reality research. He either coined or popularized the term 'Virtual Reality' and in the early 1980s founded VPL Research, the first company to sell VR products. In the late 1980s he led the team that developed the first implementations of multi-person virtual worlds using head mounted displays, as well as the first "avatars," or representations of users within such systems. While at VPL, he and his colleagues developed the first implementations of virtual reality applications in surgical simulation, vehicle interior prototyping, virtual sets for television production, and assorted other areas. He led the team that developed the first widely used software platform architecture for immersive virtual reality applications. 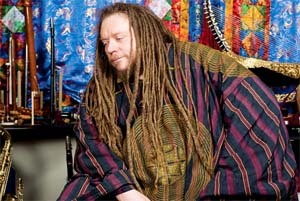 Jaron Lanier's scientific interests include the use of Virtual Reality as a research tool in cognitive science, biomimetic information architectures, experimental user interfaces, heterogeneous scientific simulations, advanced information systems for medicine, and computational approaches to the fundamentals of physics. He collaborates with a wide range of scientists in fields related to these interests. Jaron: But the Turing test cuts both ways. You can't tell if a machine has gotten smarter or if you've just lowered your own standards of intelligence to such a degree that the machine seems smart. If you can have a conversation with a simulated person presented by an AI program, can you tell how far you've let your sense of personhood degrade in order to make the illusion work for you? People degrade themselves in order to make machines seem smart all the time. Before the crash, bankers believed in supposedly intelligent algorithms that could calculate credit risks before making bad loans. We ask teachers to teach to standardized tests so a student will look good to an algorithm. We have repeatedly demonstrated our species' bottomless ability to lower our standards to make information technology look good. Every instance of intelligence in a machine is ambiguous.